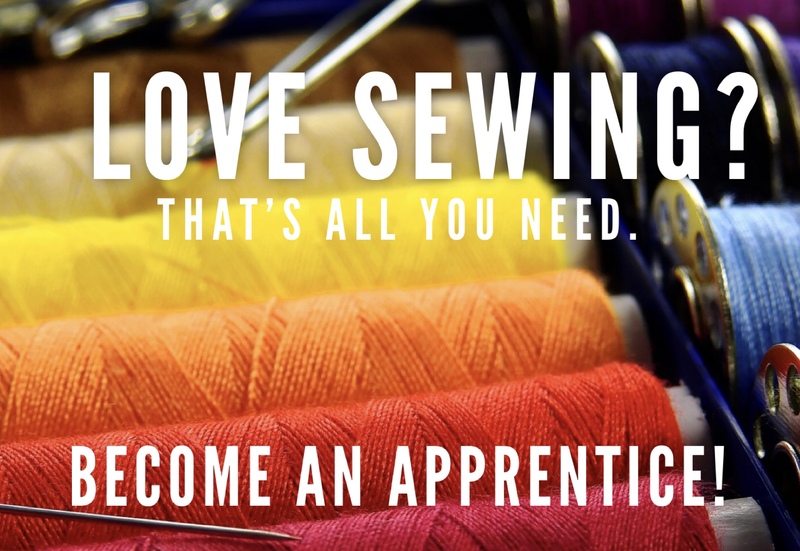 Are you looking to ignite your passion for sewing? Dru Christine Fabrics & Design, a leader in Fashion Design in NEO, wants to help you build a successful career in fashion design and construction. An apprenticeship is an agreement between the worker and employer where apprentices are given solid instruction in apparel construction and other elements of fashion design and merchandising. As part of the apprenticeship program, we'll pay for the cost of your training, provide instruction in the field, and offer a safe and paid work environment. The apprentice attends all required sessions, applies skills learned, and works in a professional manner. We're looking for highly ambitious and hardworking individuals who are interested in receiving advanced education and training for a chance at a promising career in the fashion design industry. If you're creative, have an eye for detail, enjoy working with your hands, and like to see the results of your hard work, then this program is the perfect fit for you. We're hiring workers willing to prove themselves as dependable, safe, and hardworking. The best students will be chosen to receive an apprenticeship. To begin the process, click here.